Who can believe it is February already? I certainly can’t. January was a good month in many ways – a trip to Sydney, a long weekend in the Wairarapa and some good times. It was also shocking in terms of weather, with gales, rain and only a little bit of sunshine, with average temperatures lower than usual. 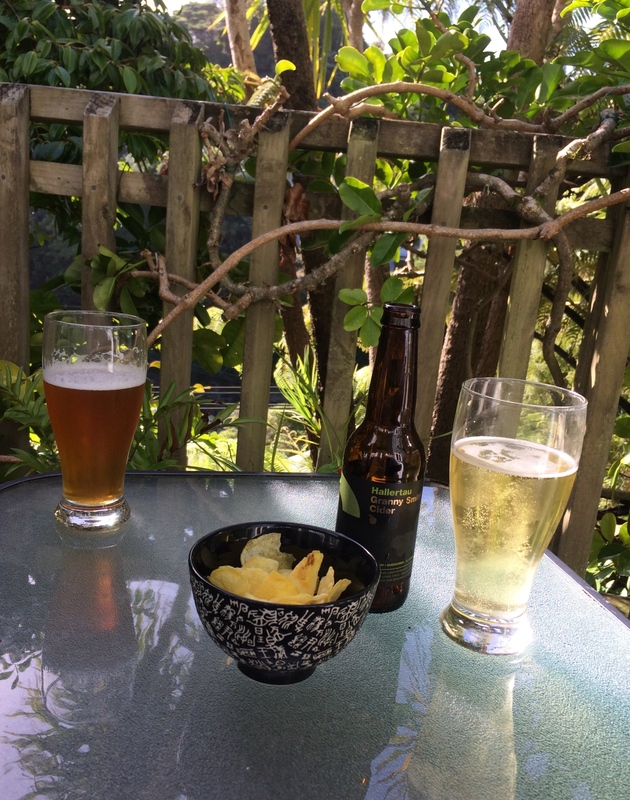 Today, however, in time for the Waitangi Day weekend, the sun has come out, and we were able to sit outside and enjoy a cold drink before dinner. Another question…how are your resolutions or goals for 2017 going so far? Well, I am doing a bit more exercise, as there is now an Xtend Barre studio opposite work. I hope I can keep it up, but with work trips building up from the end of the month onward, it might not be so easy. I haven’t done a whole heap of new cooking so far this year, but there are 11 more months to go! Still, we did at least have dinner out last night at Field & Green, who have recently introduced a three course prix fixe menu for $39, available between 5pm and 6:30pm. As my Pilates class is almost next door, and finishes at 6pm, it was an opportunity too good to miss. Plus, they are a participating restaurant in the Summer of Pinot event currently taking place in Wellington. Now, I really hate taking pictures of food in restaurants, but did sneak a picture of our delicious starter of Ōra King salmon beetroot Gravadlax, corn fritters and dill crème fraîche, which was excellent (and luckily had no overtones of beetroot!). Karl had the Scotch fillet with Café de Paris butter, hasselback potato and watercress, which got the thumbs up. I opted for the other main dish, an excellent semolina gnocchi with broccolini, Salsa Rossa (just enough spice), almonds (which provided a lovely crunch against the soft gnocchi) and sage butter. Desert is kept simple with a choice of their own homemade ice-cream. While Karl had the vanilla, I tried something different with the Earl Grey ice cream, which had just the right amount of smokiness and subtle flavour. We both drank a pinot noir from the Johner Estate, which we visited a couple of weekends ago, and picked up our ‘Pinot Passport’. We must get two more stamps on it so we can enter a competition to win 115 bottles of pinot noir! The service at Field & Green is excellent, and we were even treated to a cheery goodbye wave from owner and chef, Laura Greenfield. So, we have a long weekend ahead of us with some plans and some empty time, so looks like February is starting well. All we need now is some summer weather…. Footnote: drinks on the table are Garage Project‘s Happy Daze and Hallertau Granny Smith Cider.